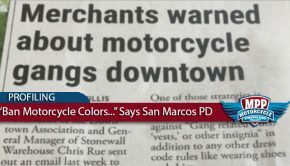 ABC Action News in Tampa Bay recently released an expose titled “Uncovering the Tampa Bay firefighters who run with criminal motorcycle gangs” asserting that club members in public safety positions has law enforcement concerned. A few days after this expose, Tampa Bay PD tased and arrested a member of the Outlaws Motorcycle Club at a local bar claiming that he had resisted arrest and assaulted police officers. However, video footage capturing the incident shows officers tasing the club member while he had his hands behind his back in compliance with the officer’s demands. Although the officer’s actions are inexcusable and deserving of civil and criminal liability, the actions of ABC Action News are equally deplorable and should be condemned in the court of public opinion. ABC Action News in Tampa Bay is a primary example of promoting extremely irresponsible journalism in favor of tabloid-like sensationalism. This attempt to spread fear, as opposed to truth, furthers a stereotype fueling an epidemic of motorcycle profiling and discrimination nationwide. ABC Action News, flying in the face of fundamental constitutional principles, condemns and judges men dedicated to public safety. Men that have no criminal records. Men dedicated to saving human lives. Men that are Captains of Fire Departments in the Tampa Bay Area. 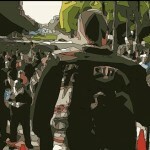 Suggesting that restrictions should be imposed on these individuals, restrictions like access to public safety employment opportunities, merely based on their membership in a motorcycle club, violates the doctrine of personal guilt and the rights to expression and association embedded in the 1st Amendment. Motorcycle clubs, including those clubs labeled organized or criminal gangs by authorities, are 1st Amendment protected associations. There is “no evidence that by merely wearing [motorcycle club] “colors,” an individual is “involved in or associated with the alleged violent or criminal activity of other [motorcycle club] members. It is a fundamental principle that the government may not impose restrictions on an individual “merely because an individual belong[s] to a group, some members of which committed acts of violence.” In fact, the Supreme Court has long “disapproved governmental action . . . denying rights and privileges solely because of a citizen’s association with an unpopular organization.” Healy v. James, 408 U.S. 169, 185-86 (1972). 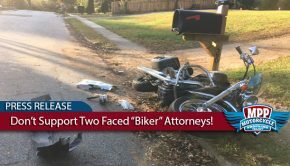 But instead of promoting the fundamental rights protected by the 1st Amendment, ironically the same rights protecting a free press, ABC Action News has made the conscious choice to fuel hyperbole and discriminatory stereotyping by suggesting mere membership in a motorcycle club, even absent any evidence of individualized intent to commit a crime, is sufficient to justify termination from the Fire Department. Moreover, the tangible implications of promoting baseless fear should drive an ethical and moral obligation in the news media to avoid irresponsible sensationalism. 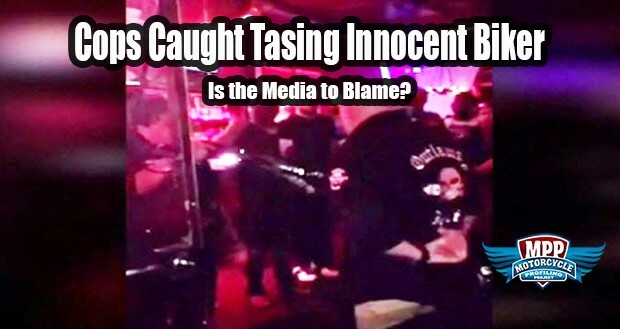 Is it a coincidence that a few days following the ABC Action News expose a firefighter that is also a member of the Outlaws Motorcycle Club was tased while he was complying, with his hands behind his back? 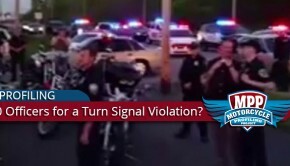 Does public perception driven by sensationalism make law enforcement abuses like this more likely because they think no one will sympathize with a biker? Public perception and opinion in many ways determines policy. The role of the news media should be to inform the public as accurately as possible in hopes of encouraging ethical public policy. ABC Action News is an embarrassment to journalism and outrageously ignorant of the same 1st Amendment principles that protect their ability to spread irresponsible tabloid media. The Supreme Court has long disapproved of governmental action denying rights and privileges solely because of a citizen’s association with an unpopular organization. ABC Action News should be dedicated to reporting that governmental discrimination and profiling, even against motorcycle clubs, is inconsistent with the Supreme Court’s long held mandate. But that would require focusing on the importance of fundamental liberties as opposed to the commercial value of abhorrent tabloid journalism. Thanks Double D for all you are doing for thew Patched community. You are a true freedom fighter and have my support. Keep up the good work. God bless you and your family. This is the same type of journalism that came out of Waco, TX on May 17th of last year until a judge placed a gag order on everything. Recklessness caused by rouge Medea broadcasters should be held accountable for their actions as any other citizen of this country. And all public servants and political members included. 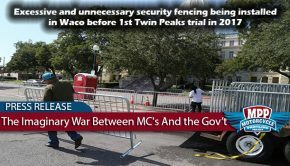 If a citizen starts spreading a lie that causes a public unrest or widespread fear to a community, the law enforcement have the mechanisms to arrest Amd convict that citizen, there by holding that citizen accountable for his actions. Same thing, when a journalist falsely reports a story and it causes the public to be harmed, then that broadcaster should be fined, jailed, or both depending on the individual secumstances.